Ensure that the people who can answer critical project questions are on your core team — from those doing the work to the ones who know the direction executive management wants. In addition, make sure your team members consist of the people who are making the final decisions on objectives and budgets and will be approving the project at key milestones. #2. Have a clear idea of what the project should accomplish. The most common mistake is that the project members are not driving toward the same goal. Develop a document, such as a creative brief, that captures the key points of the project. This will provide a foundation to enable the team to work successfully together and act as a valuable reference throughout the process. Once the final draft of your creative brief is complete, present it to the executive management for their blessing. After their approval is received, you'll have their commitment to the project, lessening the chance the project parameters will change further down the road. 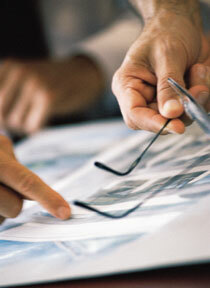 As part of the management approval process, the project budget should also be finalized. It is best to keep strict accountings of the project costs so there are no surprises at the end of the project — such as running out of money before it's finished. Not having a schedule is like driving and not knowing what roads you need to take to reach your destination. Create a schedule that contains the project's key milestones and owners and due dates for each. That way the project won't miss deadlines. This is easier said than done, but it is important that all team members and executive management understand what can and cannot be accomplished within the timeframe and budget. Pushing the envelope is fine; push too far, and quality — along with deadlines — will slip, and the project will suffer. #7. Line up your reviewers. Identify those who will review the project and obtain their commitment to quick review turnarounds. Give them a few days' notice before they need to review something, so they can arrange their schedule accordingly. #8. Lead weekly team meetings. Hold brief weekly meetings to discuss obstacles and brainstorm solutions, provide progress reports, and identify action items. Meeting notes should be distributed soon after to the wider team, including executive management. #9. Check in frequently with your team. Being aware of the status of the project elements on a daily basis will help you to react quickly to any problems and to resolve them before the project deadline is endangered. #10. Understand that things will go wrong. No matter how carefully you plan, it is guaranteed that at least one thing will go wrong. By staying calm and having a strong project team with whom to brainstorm options, you will still be able to keep the project on track.